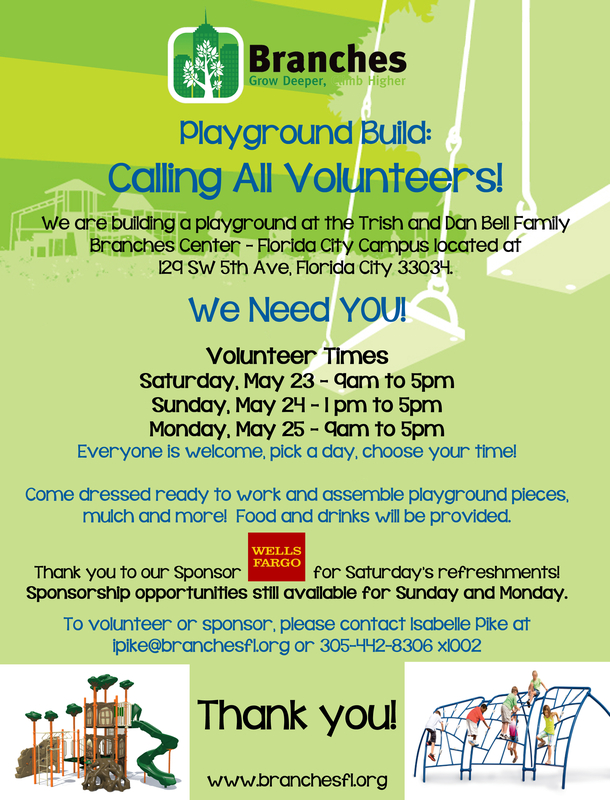 On Memorial Day Weekend 2015, over 100 volunteers came together to build a new playground for Branches Florida City exactly five years to the day after the disastrous fire destroyed the former play space in 2010. Thanks to hundreds of generous donors, Branches was able to raise over $3 million and build a brand new 11,000 sq. 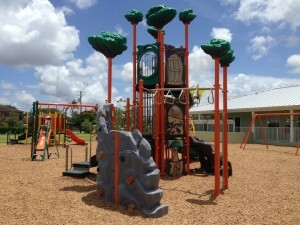 foot building for the Florida City and Homestead communites which now houses Branches’ Grow and Climb children and youth programs and the United Way Center for Financial Stability of South Dade. The new facility, formally named the Trish and Dan Bell Family Branches Center – Florida City Campus, opened its doors in the Fall of 2014. 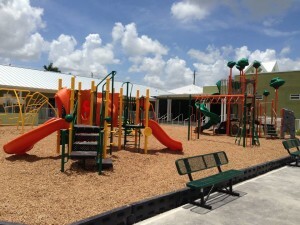 The new Branches Florida City facility was complete, yet it still needed a playground for the 200+ children and youth served here after school and during Summer Shade camp. Thanks to the Batchelor Foundation, St. Luke’s United Methodist Church and many other funders, this dream is now becoming a reality. Thank you as well to Wells Fargo for making today possible and for the kind volunteers from St. Luke’s UMC, Molina Healthcare and the Homestead Correctional Institute. More photos from the build and playground reveal here. Enjoy!